I've been hearing a lot about BenCab Museum since I set foot in Baguio City. Whenever I ask locals for places to visit in Baguio, BenCab would always be part of their top three recommended places to visit. That's why on my second day in Baguio City, me and my friends didn't miss the chance to drop by the Museum. On our way to the museum I did some research and found out that BenCab stands for the name of Philippine National Artist for Visual Arts, Benedicto Reyes Cabrera. He is know as the Master of Contemporary Philippine Art, a painter and print maker. BenCab was born in Malabon City but now lives and work in Baguio City. BenCab Museum is a project of BenCab Art Foundation which is a non-stock organization that supports activities relating to environment and arts. The museum has four levels- Street, Level 2 and 3, and Farm and Garden. From Baguio City, it took us about 30 to 45 minutes to reach the Museum. Upon entry we were given the Museum's Guide where you can find the dos and dont's and map of the museum. We paid for the entrance fee which is PhP 120 or USD 2.51 for General Admission. For students with identification card entrance fee is PhP 100 USD 2.09 and Senior Citizen is PhP 80 or USD 1.67. For some odd reasons we went first to the Museum Shop, usually this is the last stop but we tend to check this one first. The shop has the usual souvenirs but what caught my attention are the funny planners and journals. I love the "Planner ng Pasaway" or Planners for Stubborn People, Planner Things to do with "Now Na" (Now), "Mamaya" (Later) and "Huwag Na" (I will not do this!). After the Museum Shop we went to the Second Level and find ourselves inside the Cordillera Gallery. The gallery is composed of BenCab's collection of artifacts and crafts of Cordillera Region. Utensil, baskets, totem, and statues of Gods are displayed in this gallery. After the Cordillera Gallery is the BenCab Gallery. This gallery consists of BenCab's work of art that started in Manila to London and Europe and back to Baguio and Cordillera. Beside the gallery is the viewing terrace where you can see the whole farm and garden level. There are two Contemporary Art Gallery in the Museum that showcase different paintings, sculpture and statues. Along the corridors are artifacts found in Cordillera and statue of gods and guardians. The Museum showcase a lot of interesting things about Cordillera Region. Looking at the utensils, totem and statues of their gods and guardians gave me a sneak peek of how the people of Cordillera once live. It could have been more interesting if they have a guide or docent that can explain or tell the story behind and how and when they use the items. The painting and sculptures are fascinating. The view of the farm and garden from the terrace is breath taking. I love the luscious trees, the river and the small huts scattered in the garden. I wasn't able to try the trek but hope on my next visit I can. Those are interesting intricate arts. Knowing that this is in Baguio, where there are other famous attractions. This one is a one place to go to especially for art lovers out there. I live in Singapore, which is so near the Philippines, but have not visited it yet. It's time for a holiday! I would enjoy spending the day at this museum. Even the gift shop looks like fun! And the views are stunning. That looks like a neat museum. I would love to visit someday. You have done a great job of photographing your trip! What a beautiful spot and the museum looks amazing! That is an amazing museum! I want to go there, looks absolutely interesting. What a beautiful display of craftmanship. The place is amazing. love the greens. Oh Cool!! This looks like such an amazing place to visit! So much history!! I bet this was so cool and fun to visit. My kids would love it. I absolutely love the artifacts. Makes me so grateful of the rich culture the Philippines have. Thanks for sharing and making me miss home! It's a beautiful place to visit especially if you love looking at art. Or if you want to get to know their culture more. I find the notepads cute! That is one amazing set of arts. I like the contemporary art! My sons father got me into art big time! The huts in the garden is stunning and attractive. I'm sure the grand kids would love to visit the BenCab Museum to see all of the artifacts as well as the outdoor area. The museum looks beautiful and so educational. I want to bring my kids one day and learn more about the history of the Philippines. Wow, I"m blown away by the artwork there. It's just exquisite! Love that planner ng pasaway! Baguio is a great place, I love the climate there and the activities at night. These are nice art pieces! I love it, I never thought of going there whenever I am in Baguio. thank you for taking us with you in your journey! the contemporary art part looks so great, generally I do love contemporary art and this looks so interesting! Great museum with great exhibition, you really had a great time out there. awesome exhibitions on display here, there cant be anyone better than this i must say,. thanks for the share, alot of rich history in this post. Sounds like an amazing place to visit! I love the art work. Thanks for sharing! oh wow that looks quite interesting. My artists in the family would enjoy visiting. I just enjoy the view outside. It is indeed breath taking. Next trip on the venue. I've been to Baguio many times but I haven't had the chance to visit Bencab museum. Honestly, I didn't know about this. 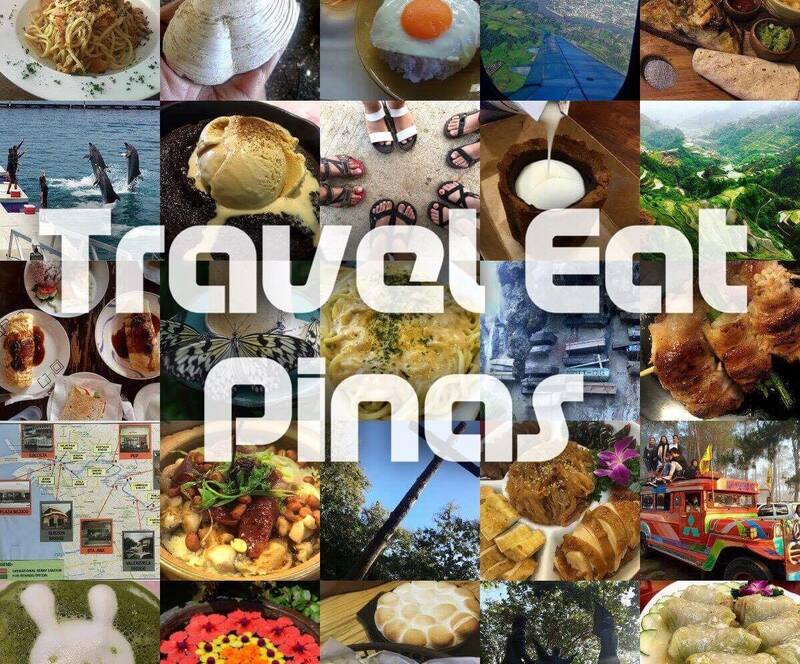 I will surely pay this a visit on our next Baguio trip. Thanks for sharing!